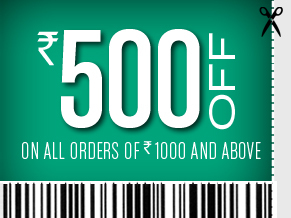 Have few pepperfry Rs 500 off coupons on Rs 1000. Genuine buyers and contributor to DD forum only. Others please feel free to offer coupons to fellow dimers. Sent. Kindly check your message. P.S. – 1. emm, sorry for intruding in your post. 2. I have 15% off coupon from Pepperfry on all orders (except Gold coin & loose Diamonds). Coupon is valid till 11.59 PM on Wednesday, June 20, 2012. If anybody requires it, kindly send me a message. I want one , thanks in advance.. Thanks for offering them. Can I have coupon for self please? i have a 15% off coupon except on gold n diamond..